Task: Look at the 12 pictures on the right. 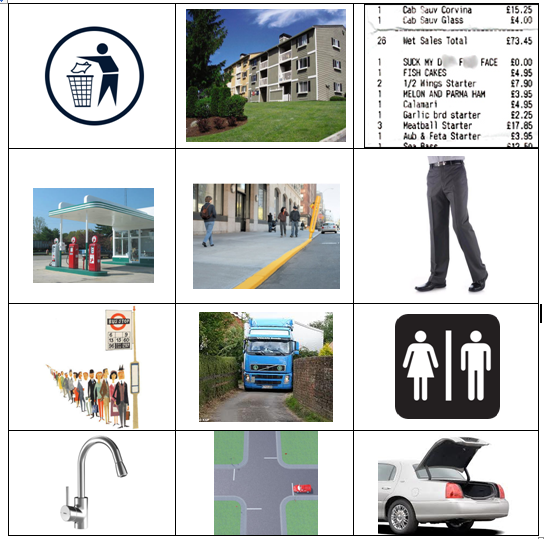 1 Can you name the different things in the pictures? Do you know if your word is American or British English? 2 Go to the interactive wordlist and check your answers. NB You have two search options - British to American or American to British. 3 If you want to learn some more British and American English differences, do the quiz. If you're not sure of the answer, the interactive wordlist can help you. Go to the interactive wordlist here. Check your answers to 1 and 2 here.